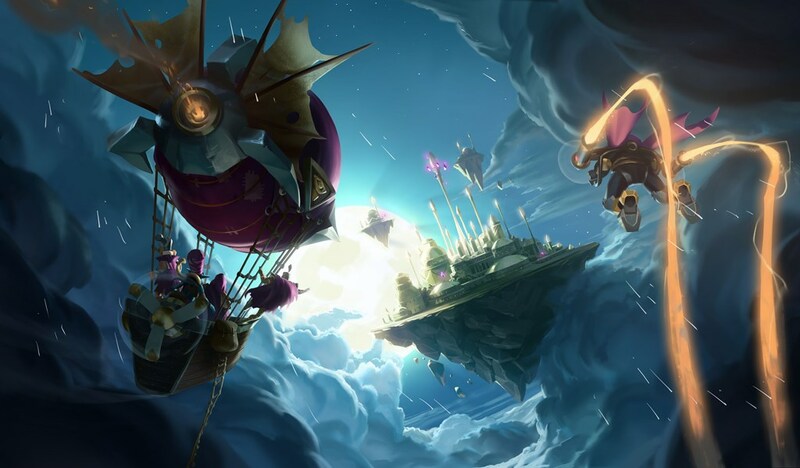 If you like free Legendary minions, boot up your Hearthstone client. If you’re excited for the new Rise of Shadows expansion, then there’s even more great news for you. Players can log on to Hearthstone right now and play with a new Legendary minion from the expansion, Archmage Vargoth. 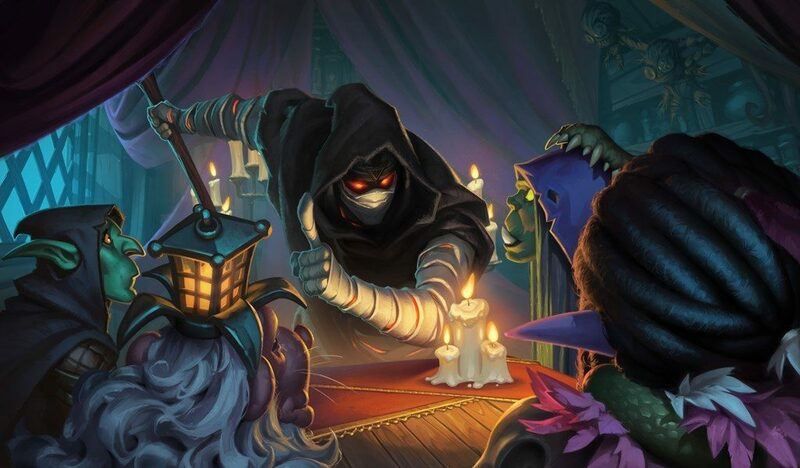 Blizzard has a history of gifting a free card or two to the community around the launch of a new expansion. Players who were around during the launch of the Kobolds and Catacombs expansion might remember getting a free copy of Marin the Fox. Marin was an eight-mana minion with six Attack, six Health, and a unique Battlecry that summoned an 0/8 treasure chest for your opponent. When deciding which cards to give away for free, it seems like Blizzard tries to pick something interesting that will get the community excited to log-in and play. Archmage Vargoth is a very interesting card that seems like it will have amazing synergy with various spell-based decks. Archmage Vargoth is a four-mana minion with two Attack and six Health. The cool part about Vargoth, however, is his effect. At the end of your turn, Vargoth causes you to cast a spell you played previously in the turn, but with targets chosen randomly. This means Archmage Vargoth could potentially find a home in new variations of decks like Big Spell Mage and Mind Blast Priest. Although the randomness associated with Vargoth’s effect will make it difficult for him to combo with certain spells, it’s easily sidestepped with cards like Mind Blast, Flamestrike, and Blizzard. You can check out Archmage Vargoth right now and get those deck-building juices flowing. 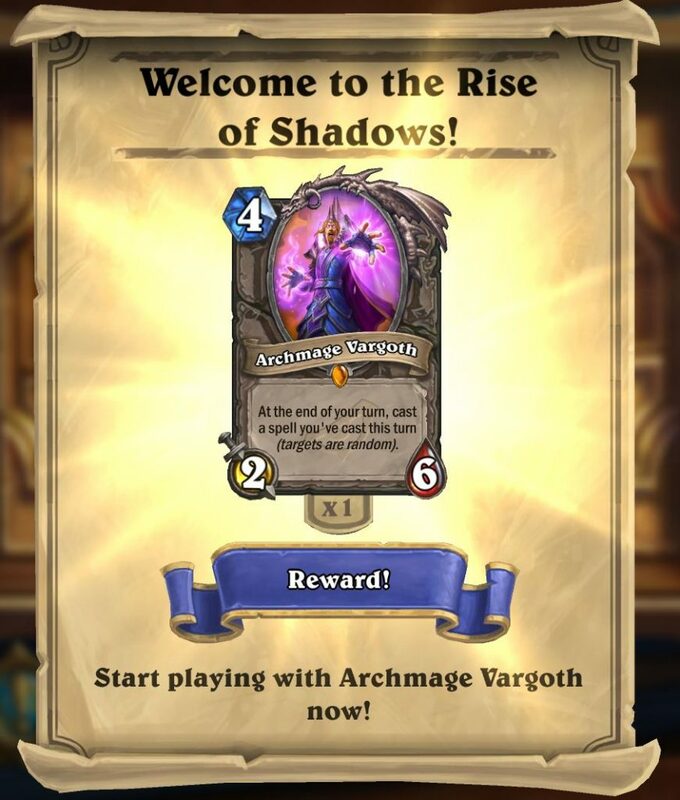 The rest of the cards from Rise of Shadows will join the Archmage on April 9.